A group of MPs has asked the speaker of parliament Rebecca Kadaga to recall parliament to discuss the involvement of Uganda’s army in South Sudan. MPs who include Abdu Katuntu, Medard Segoona, and Gerald Karuhanga among others argue that it’s not right for the Ugandan army to be deployed in the unstable country. They say that Uganda should only be a mediator and not engage in active combat. They say that the president’s threat on former VP Riek Machar was also uncalled for and should be withdrawn immediately. 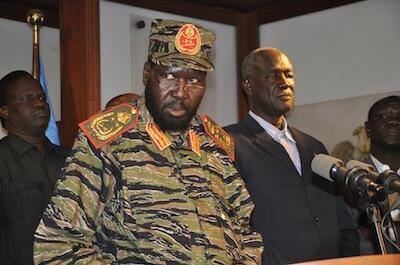 Meanwhile, religious leaders say the situation in South Sudan requires divine intervention. Addressing believers at the end of year prayers at Jubilee Christian life church yesterday, Apostle Wilson Kulaba, said when neighboring countries are at war, Uganda is not safe. The fighting in South Sudan has claimed over 1000 lives.